Teen drivers are three times more likely to be involved in a fatal car accident than any other demographic of drivers. Two thirds of the teen deaths are males. According to the National Highway Traffic Safety Administration (NHTSA), 25-30% of all teen drivers experience a car accident in the first 12 months of having their driver’s license. These statistics might be frightening to a parent, but they can still take steps to keep their kids safe on the roads. There are certain styles or models, sizes and technological features available that can help teens avoid being a statistic. A classic USA Today article describes the best car for teens as “big, slow and ugly.” Most teens don’t want to drive these vehicles so they function to keep teens driving less, reducing their odds of being in an accident. Avoidance won’t work forever though. If it can’t be big and ugly, at least avoid purchasing a high performance vehicle for your teen. If the vehicle has the power to be driven at high speeds, teens will do it. Parents should seriously consider purchasing a mid to large size vehicle. Despite the increased cost for fueling up the tank, a larger body is better for young drivers because it offers more protection than smaller more fuel efficient models. When it comes to technological safety features, vehicles with electronic stability control help teen driver regain control of their vehicles after losing control or overcorrecting on a turn. Side air bags are important to protect your teen’s head in the event of a rollover crash or side impact like a T-bone. A front collision warning system helps teen drivers avoid car accidents by using sensors to tell the driver when another vehicle is in their blind spot or when they are approaching another vehicle too quickly. Back up cameras and sensors help with the same problems when the car is in reverse. Smart vehicle selection and vehicle safety features can help lower the number of fatal car accidents involving teens but they won’t end all the problems. Parents need to teach their children how to drive safely as well. 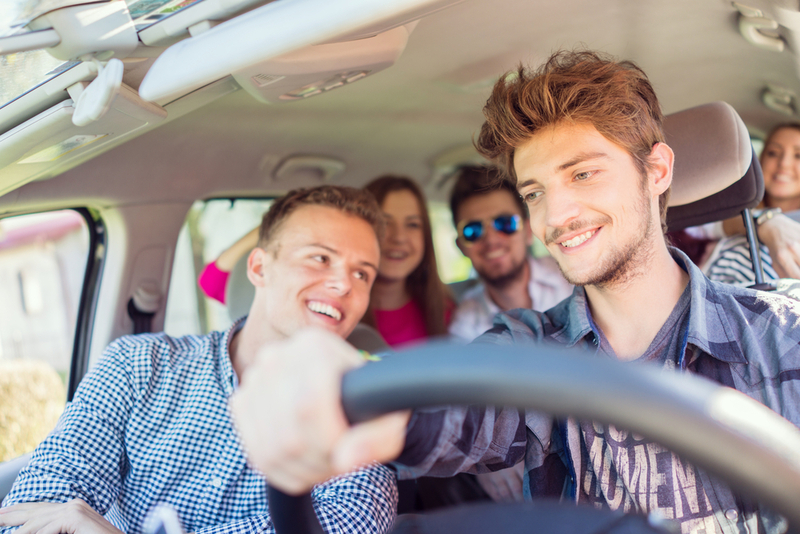 Click here for our quick tips for teaching teens to drive.